So begins the story in one of our favorite books of all time. If it is at all possible to lock memories inside the pages of a book, with just a few words of it acting as a trigger to a sweet recollection.... then Little Quack is what does it for us. And what better proof of that than the day my 6 year old located this very book from his school library, and brought it home for his little brother to read! Yes, we've indeed come full circle with Little Quack! What would attract you and your child to this book and the many others in this series are a few simple, but solid things. How feelings are presented in such a simple, easy to digest way! How simply everyday fun such as playing hide and seek can be made so exciting! How complex concepts like friendship and acceptance can be broken down into its barest essentials! How small phrases in repetitive style can be imprinted onto little minds, and help them 'read' the book on their own pretty soon. How these phrases, that flow in such a singsong way become so etched into our own adult minds that we find ourselves using it liberally too at opportune times....such as....Come on little duckling. You can do it. I know you can! Not to mention a central character who is so darn cute, with his innocence and sweetness captured to enticingly by Derek Anderson's expert strokes and use of colours, the likes of which simply fills you up with this abounding happiness with life! All this and more draws you irresistibly to the life of this little duckling and everything else that happens in it. 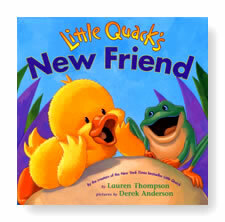 And if your child is in that magical, blossoming age range of 2 to 5, then you definitely want him/her making friends with Little Quack! The book sounds lovely and your review makes it lovelier T! Sheela : Yes do get it for Og! Sounds just the right book for my daughter...should try to get it !! Thanks for this pointer Tharini. :)It sounds lovely. Boys do seem to find books about animals etc more fun. Li'l quack looks so cuddly....and so very familiar. did you lend me one of these books before? nice to see a review for our littler ones! The one in which Little Quack is scared to get into the pond used to be P's favourite when he was a year old :) I would read the book aloud and then tell the story in Tamizh. I still remember the names of all the ducklings! 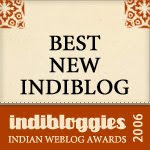 Arundhati : It is our favorite even now! :) Its hard to forget the names of the ducklings isn't it?